Before looking at what type of house extension you want, it’s important to review your existing house to make sure you focus on critical areas. Make a list of your priorities and look at what rooms you spend the most time in, often that’s the kitchen. Now look at what you’re doing in each room, if you find, for example, that you’re socialising in the kitchen and leaving you dining space empty and unused, it’s time to look at merging these together to maximise their potential. We would also recommend that you start looking at completed projects to get a feel for how you’d like you finished home to look, websites like Houzz or Pinterest are great resources for getting ideas. Don’t worry if you can’t find the perfect example of what you want, just build up a scrapbook of the various elements you like as these will prove invaluable to the designer when they are getting a feel for the look you want, and to yourself when you the time comes to select the final finishes for your project. Do I Need An Extension At All? 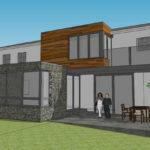 90% of our clients are looking to modernise their living space. Houses designed as recently as 2010 had small separate kitchens and dining spaces that end up with families using the smallest rooms in the house the most often. By opening up the interior of the house and creating larger rear openings, you can create a far larger sense of space and better utilise the interior. 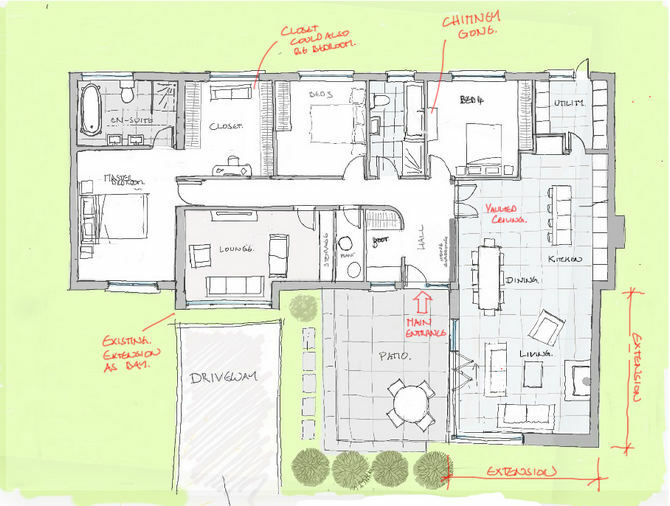 The sketches below show rearranging the existing interior to form a larger open plan space without the need for extension. By far the most common extension in the city is the single storey ground floor rear house extension, these don’t need to be huge, and more often than not, a modest extension can give the best value for money while still transforming the way your home and the way you live. 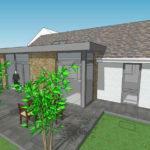 However, it is important that the design is carefully thought through as we find that the ‘standard’ rear extension can leave existing internal rooms lacking light making them unusable in certain situations. 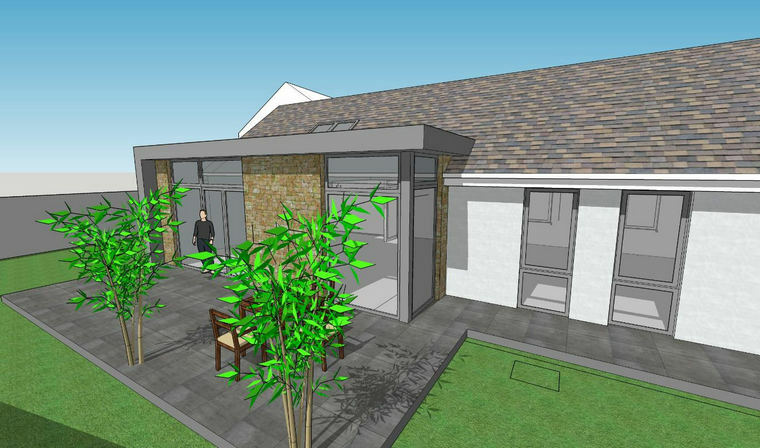 The first thing to consider is the orientation of the house and how to maximise the sunlight throughout the extension and existing house. 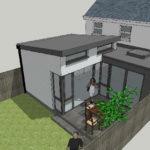 Below are some quick sketches showing alternative arrangements for a rear extension. 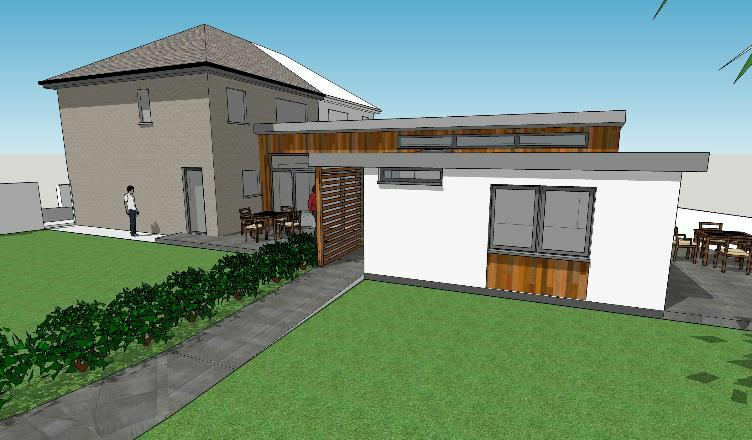 As you can see the there are many different forms that rear home extensions can take, all with their positives and negatives depending on the site and the orientation of the house. 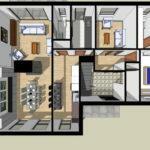 What we find most important is that these options are explored fully to ensure you get the perfect design for your home. Be open minded and you might just get the dream home you always wanted. 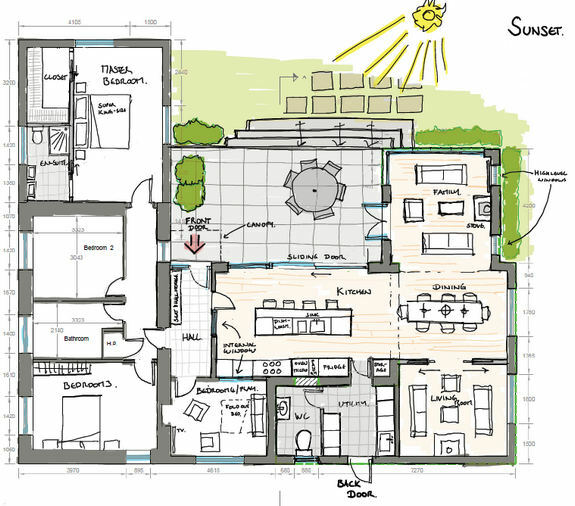 Will My Extension Need planning? 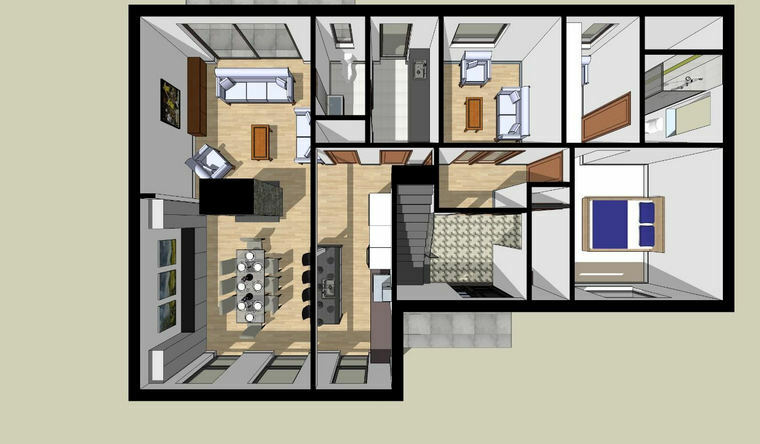 It needs to be less than 40sqm/430sqft in floor area, that would be an extension approximately 6m/20ft by 6.5m/21ft. 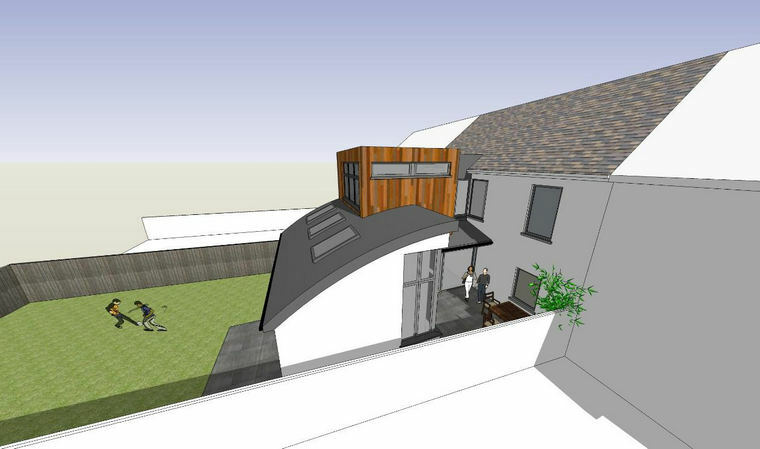 This extension must be entirely to the rear of the existing property with no element to the side and it must be attached to the existing house. 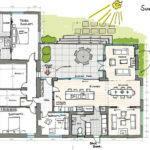 When the extension is complete it must leave at least 25sqm/265sqft of open space. 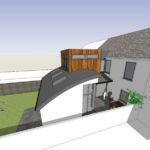 The walls of the extension can only be as high as the existing walls, if the roof is pitched it can’t be higher than the existing roof, if flat it can’t be higher than the existing gutters. Ground floor windows can’t be closer than 1m from the boundaries. 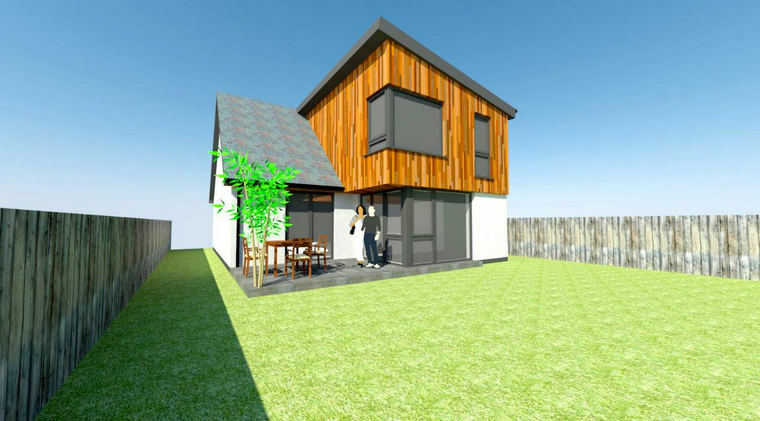 If the house extension you have in mind meets the above criteria, it’s more than likely it won’t require planning, however it is always best to confirm this prior to construction. 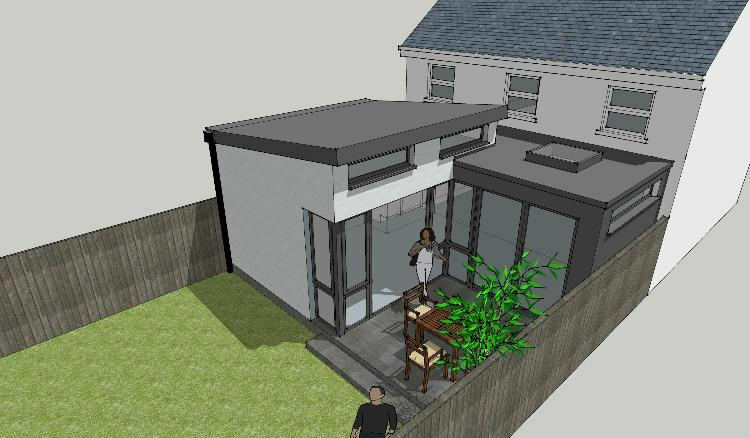 It’s also possible for a first floor extension to be exempt from planning but the requirements are far more restrictive and in our experience it is rare when building in the city. 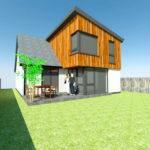 If the project exceeds any of the criteria or you’re looking for a first floor extension, don’t worry. 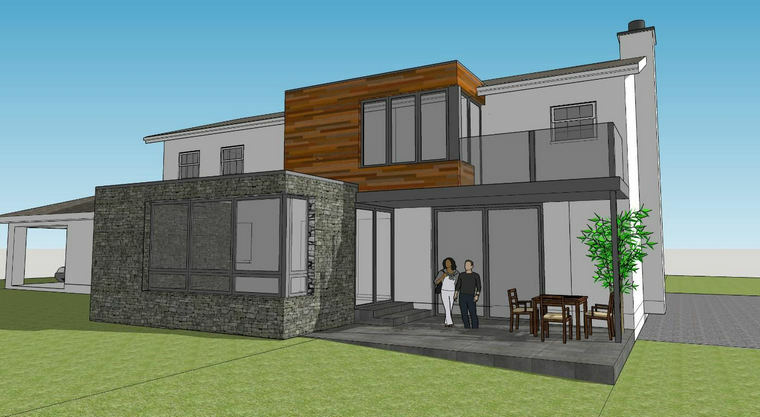 While it can take longer to achieve obtaining, planning permission doesn’t cost a huge amount of money and if it ensures the extension is perfect for your house, it is worth the time and money it requires. 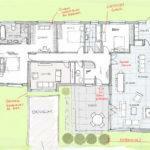 We will explain the planning process in more detail at a later time if you book a consultation online. If you need advice on which type of extension is best for your needs. 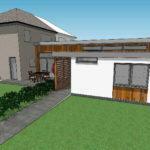 Visit us online or call Sigma Homes today on 021-436-5866 to book your house extensions design and build consultation.